This is a handy and colourful illustrated guide to reading, writing and understanding ancient Egyptian names, epithets, titles and phrases. 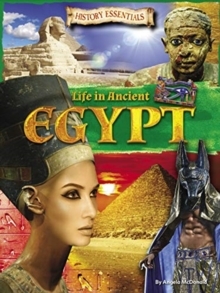 The Egyptians believed that the creator god Ptah brought the world into being by naming everything in it. Names had great power, and kings often over-wrote their own names on the monuments of earlier rulers. A person's name was a vitally important part of them, and the Egyptians were very concerned that their names should be recorded, remembered and spoken. Criminals and those who had fallen out of favour could be punished - wiped out of history - by having their names destroyed or defaced. 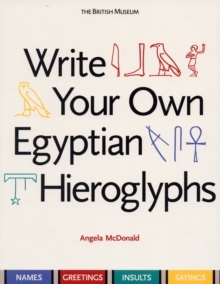 The hieroglyphic script provided a beautiful, flexible and expressive means to write the names of humans, gods and animals. 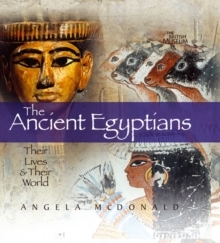 Angela McDonald explains the meanings of Egyptian personal names and how they were made up (Rameses = 'Ra has given birth to him') and demonstrates how they were written in different ways to convey various shades of meaning. Royal and divine names are always given special treatment. The Egyptians were not always formal, and nicknames were common. Even the names of pet animals are recorded in tomb paintings.